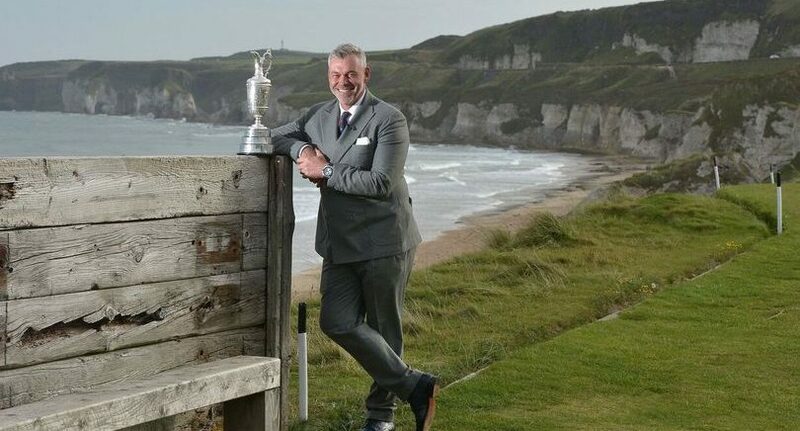 The countdown has well and truly begun to one of the most eagerly awaited events on this year’s sporting calendar when The Open Championship makes a historic return to Northern Ireland after a near 70-year absence. The 148th Open will be played at Royal Portrush, in County Antrim, from July 14-21, 68 years after it was last held at the world-renowned course in 1951, when Max Faulkner became Champion Golfer of the Year. Such has been the interest in this year’s tournament that all four championship days are already sold out, with only practice-day tickets remaining. And to help celebrate the 2019 Open, stars of sport, screen and culture gathered in Belfast at the award-winning Titanic Belfast experience last week to mark the opening of a spectacular year for Northern Ireland. Over 400 guests, including legendary golf commentator Peter Alliss and record-breaking champion jockey Sir Anthony McCoy were treated by Tourism Northern Ireland to an impressive combination of vibrant sports, arts, culture and tourism talent to celebrate the arrival of 2019. As part of the evening, the specially commissioned ‘We’ve Come A Long Way’ film was premiered at the celebration – a short film set to an original poem written by County Down poet Paul Matthews. To view the film click here. For more information on the 148th Open Championship and to buy tickets, click here. Or for further details about playing golf in Ireland, visit www.ireland.com/golf.